The Eucharist is the center and summit of Christian life. She holds the greatest treasure we have Catholics. It contains the real presence of Our Lord Jesus Christ, the Incarnate Word of God, the Body, Blood, Soul and Divinity. If men, our brothers, we discovered this great mystery, their lives would acquire an unsurpassed splendor and happiness. St. Augustine says in his book The City of God: "If someone asks why some are blessed, this is the correct answer: because they are united to God." 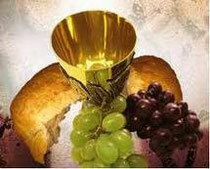 The Eucharist is the fastest way to join God.! Let us look to Him, talk to Him, rest in Him!